In this edition of Sunday Sound Effects Round Up we take a look at libraries from HISSandaROAR, Sound Spark, Pro Sound Effects and Boom, we have car recording pictures from Watson Wu and Saro from SoundBits, we learn about the latest release of Soundly and if you are a Soundminer user then we learn about 10 more tips when using Soundminer. 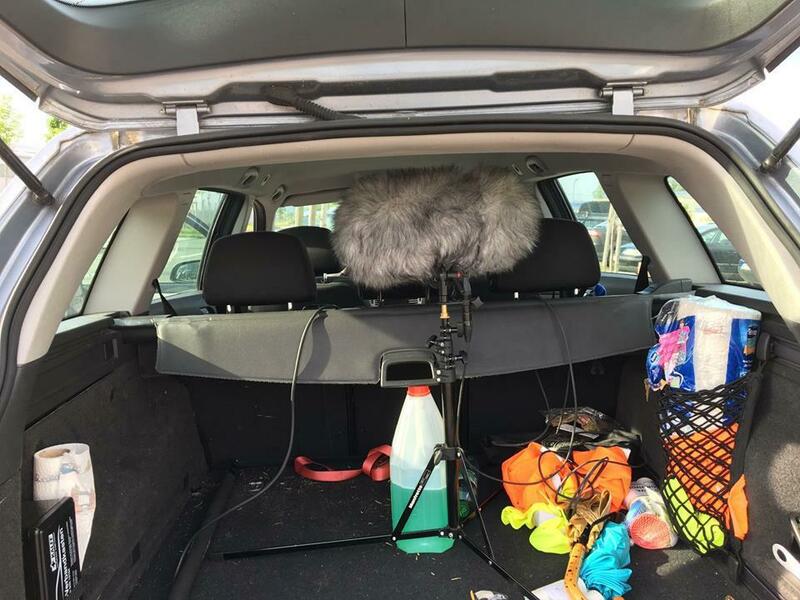 Tim Prebble explained that the primary motive for the Truck Doppler Horns Library is to kill a cliche – if you are a sound effects editor you will know there are certain sounds that are tired, over-used cliches. So they set out to hammer a nail into its coffin. Desert Road is a four-hour drive from Tim's studio, and as the name suggests is a wide-open stretch of State Highway 1 – both desert-like and best of all, deserted. No one lives in the area and the only occupants are people in cars… and trucks! Tim looked for some good locations for recording and then waited for the weather to settle down. 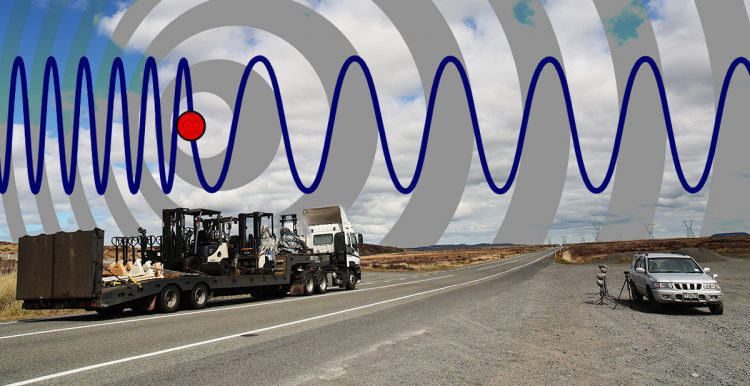 The truck doppler horns range in performance from a friendly toot, to an apocalyptic blast from 25m away, sustaining right past the mics! But a similar number of passing trucks refused to toot, which at first he was disappointed about but then realised it would be a better sound library with those included. There were also a few car & bus horn dopplers… and a New Zealand Police siren, thank you Officer. 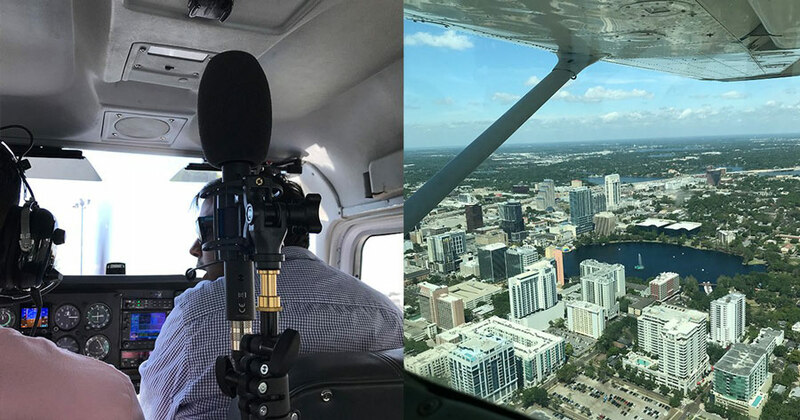 The Ambisonic Airplanes Cessna 172 library, is a small library procured from a single short flight. The recordings were made from the rear passenger seat positioned as close as possible to the middle of the aircraft. The front of the Ambisonic microphone faced the cockpit. The flight was recorded in its entirety and edited down for easier use. The library was recorded using a Sennheiser Ambeo VR Microphone onto a Sound Devices MixPre 6. The library has a fairly large size because we have conveniently provided 4 versions of the same files to make it easier and more flexible to use. Included you will find B-Format WAV files (FuMa and AmbiX) A-Format raw WAV files and a Binaural stereo mixdown. The library includes a total of 17 unique files and 68 total files. The stunning alligator sound effects featured in Gators, Pro Sound Effects' latest speciality library, could be considered both the stuff of nightmares and a sound designer's dream for creature source. Massive, terrifying, larger-than-life growls, snarls, bellows, and hisses will add power and intensity to your creature vocals in any audio project. This one-of-a-kind, exclusive speciality library is no exaggeration. There’s a reason you will not find a similar collection dedicated to alligator or crocodile sound effects anywhere else. 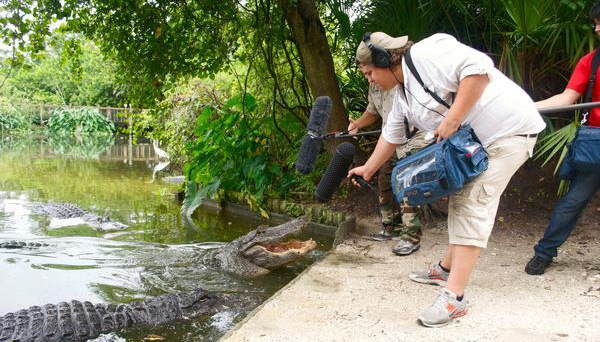 These sounds can not only be dangerous to record, but they are extremely difficult to capture as alligators are typically very stealthy, quiet creatures… except during mating season. 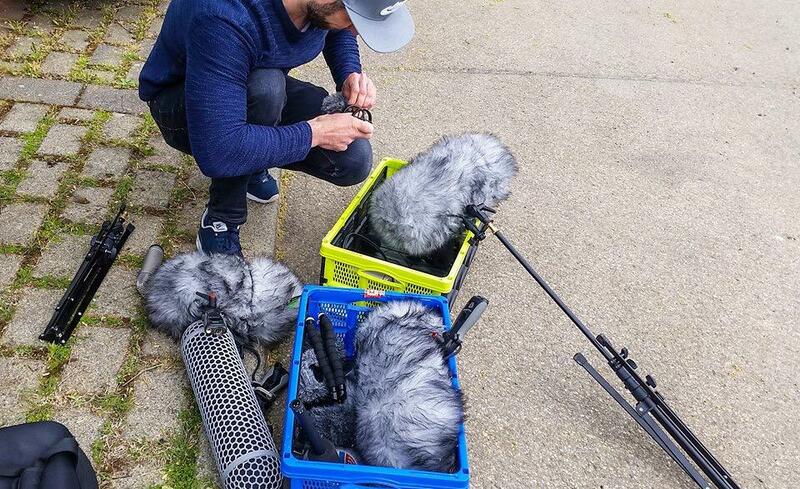 Luckily, recordist Colin Hart embarked on several excursions to the swamps of Florida to develop a method for cueing the monstrous sounds from these cold-blooded beasts – so you don’t have to. After seven years, a mangled blimp, destroyed boom pole, JBL baby stroller, and a couple testing subwoofers from Boeing, these incredible alligator recordings are now available for your own projects. 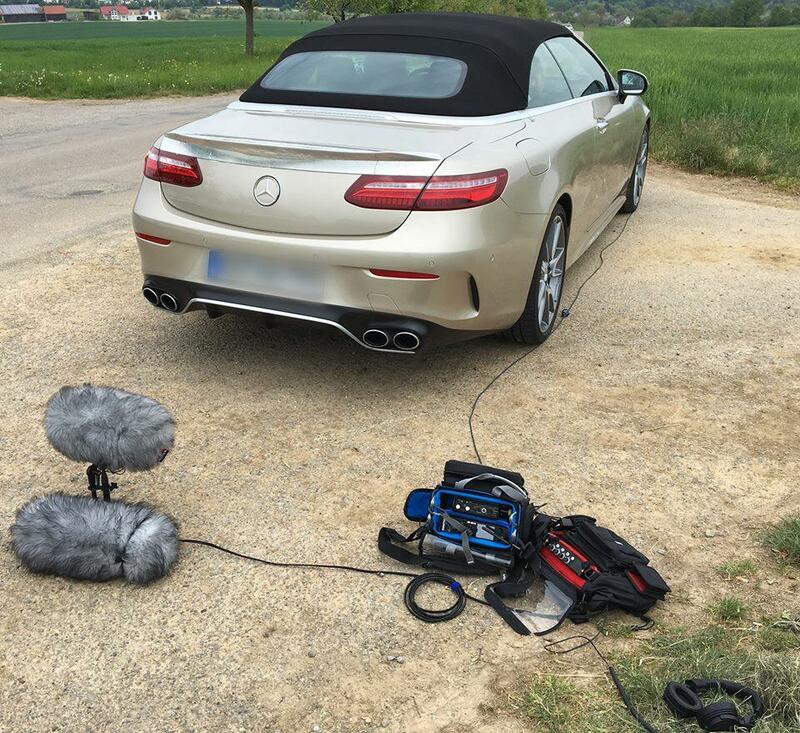 if you do nothing more I strongly recommend that you learn more about the insane recording process for this library on the Pro Sound Effects Blog. In addition to bellowing mating calls, warning hisses, terrifying snarls and more alligator sounds, the Gators library also provides partially submerged hydrophone recordings as well as marsh and bird ambiences. This library could be a secret weapon for your sound design toolset and give life to creatures, monsters, dragons, dinosaurs, crocodiles, and other beasts. The organic immensity of these sounds also makes interesting layers for the likes of explosions, thunder, fire and engines. 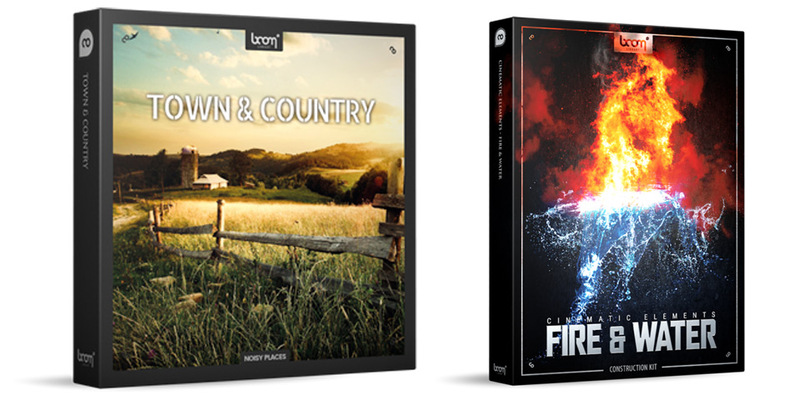 Boom has released two libraries recently that caught my attention Town & Country And Cinematic Elements: Fire & Water Libraries. Town & Country provides a wide range of sounds designed for creating perfectly convincing and realistic town and country ambiences. In addition to a broad and solid foundation of town and country lifestyle, they focused on credible ambiences that are full of detail and at the same time leave enough room to place further sound design in the foreground. The main part of this library consists of extensive – mostly loopable – background ambiences with varying daytimes and locations of town & country sceneries including of town and country mornings, days and nights featuring wildlife, humans, working sounds, traffic, fire, water, woodlots and windmills. More detailed and easily accessible sounds of e.g. campfire, farm animals or an extraordinarily impressive file with flies on a roadkill are in there too. Fire & Water are two very impressive and interesting elements. Their manifestations range from tiny and harmless to huge and devastating. As a consequence, their sonic character is just as diverse. The Cinematic Elements: Fire & Water construction kit is packed with over 2,300 source recordings and has been put together to enable you to sculpt authentic and powerful sounds for your hot & wet projects, featuring virtually any movement, size, intensity, duration, state or sonic colour. From small sizzling and steady flowing over bubbling and submersion effects to aggressive and devastating blasts, crashes and whooshes. Cinematic Elements: Fire & Water Designed is where the detailed recordings of the construction kit take on a life of their own with earth-shaking force and impact. Most sounds are available as small, medium and large variants. Besides the obvious field of application which is designing fire & water sounds, this pack really shines when it comes to designing some out-of-this-world trailers. Or what about applying fire & water sounds to creatures, to destruction scenarios, to heavy impacts? This is all up to you. 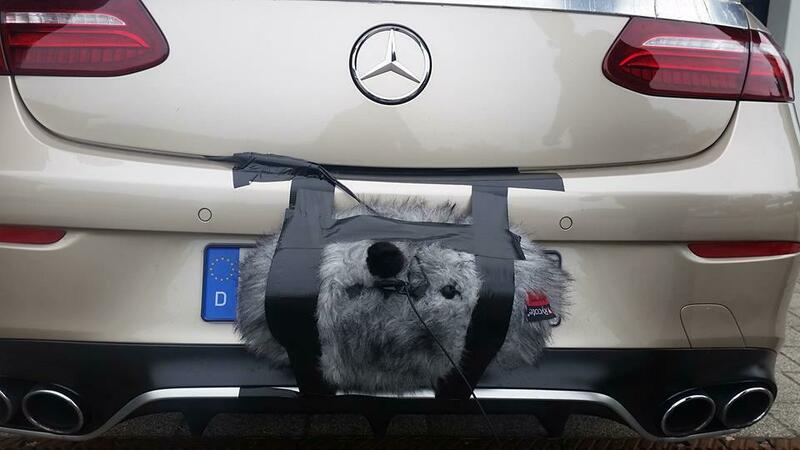 A while back he was hired to record tyres on multiple surfaces sounds while riding inside the car. 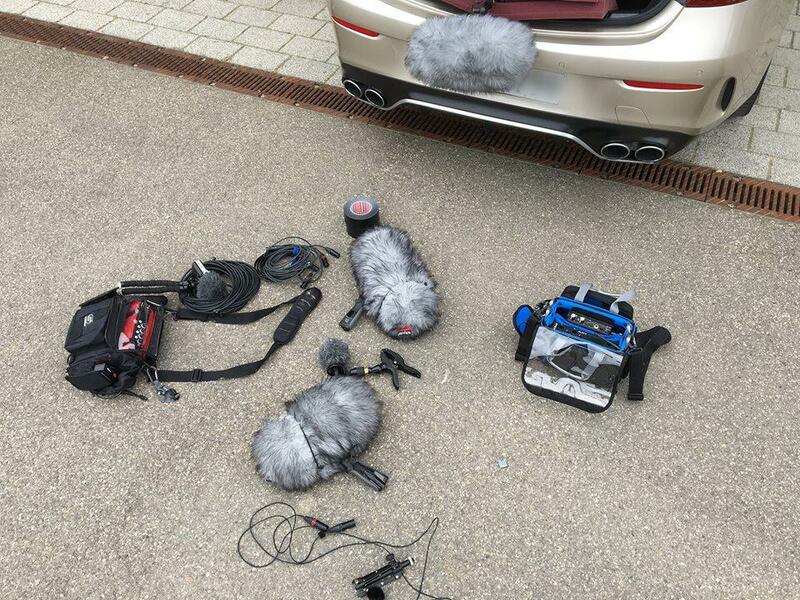 So he rented this Tesla electric car to ensure that were no exhaust or engine sounds in the recordings. 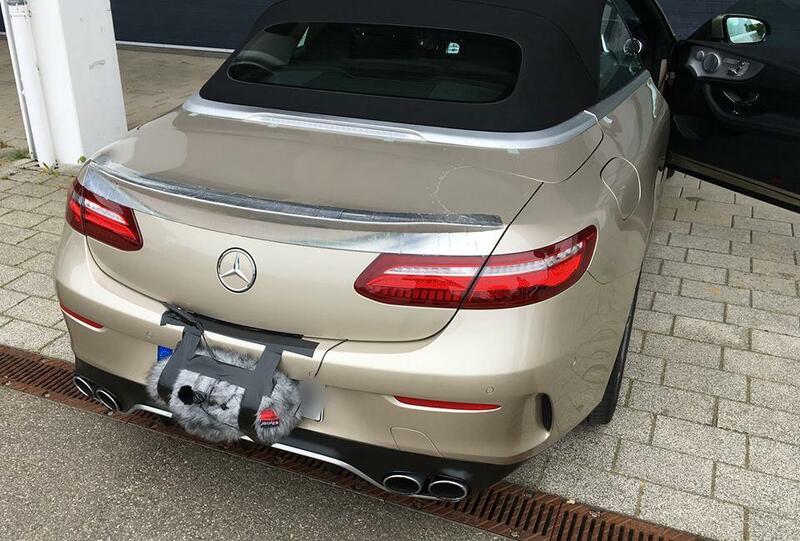 Before he got it right he had to do a lot of tests before renting out the owner and driver of the Tesla car. Top tips from Watson when working with an electric car, stay within a central location that will also have multiple surfaces because you only have limited driving distance when travelling in an electric car. 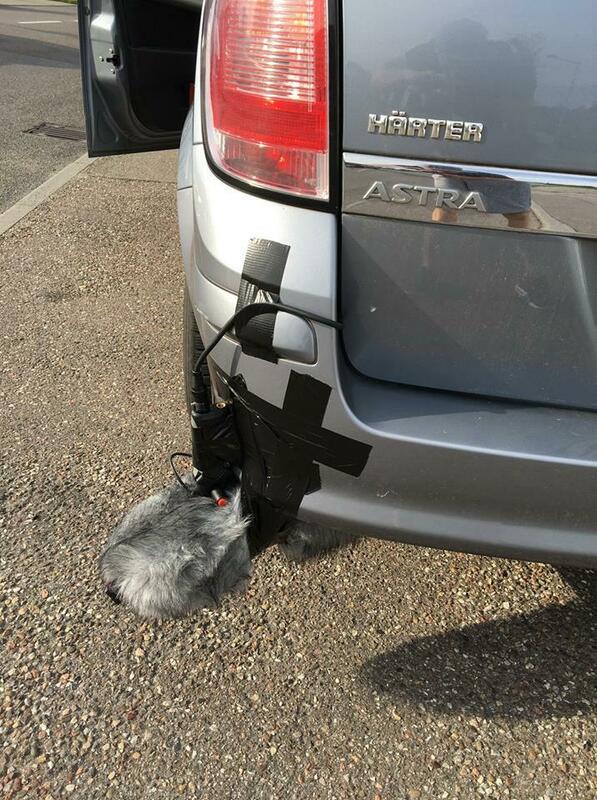 Saro has released a number of pictures from some car recording sessions. I guess a new library from SoundBits will be along soon? A built-in sound effect thesaurus. Peder has told me that it’s been written by one of the leading meta-data librarians in the world, and has been designed to make searching through your library even more accurate, and give you more relevant results. For example, a search for “car” will now also include searches for “auto”, “ride”, “automobile” and so forth. They have implemented a brand new, 'state of the art' sample rate converter. The new sample rate converter improves the quality of audio that is imported into a project with a non-matching sample rate. The new sample rate converter is also used on the Soundly pitch controls, to help give users the best possible results when pitching your sounds. Soundly now supports auditioning of the ambisonic file format (.amb). 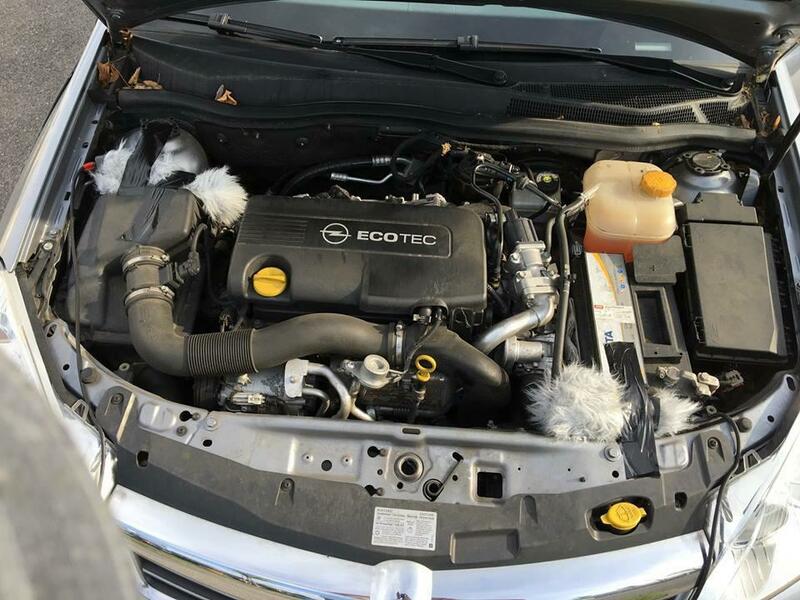 Searching now match library and folder names, so that a search for “6000 car door” will find car door sounds within the 6000 series if you have the 6000 series installed. Combined with support for many more meta-data fields and our new SFX thesaurus, searching in Soundly is greatly improved. Guido Helbling from Avosound has been in touch to let me know that he has produced an article covering the 10 More Simple Tips For Soundminer aimed at both experienced users and beginners. Guido tells me that these tips are even more simple than the original 10 tips for Soundminer...that is, if you know them! Some of these tips are aimed exclusively at Soundminer V4.5 Pro users on Mac platforms but he promises that to balance things out, he will compile some tips for HD Plus users as well. 7 Which Soundminer version am I actually using?